The process of seasoning wood ensures that when burned it will be to its full potential. Moisture content & the type of wood are key factors in the weight, performance & cost of the logs. 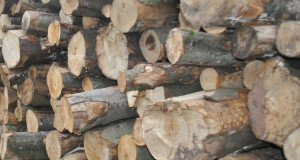 Seasoned firewood carries less moisture and burns far better than an unseasoned wood, which carries around 50% moisture. If the wood is not seasoned properly, energy is wasted burning off the moisture. Our logs are guaranteed to below an average of 25% moisture content so they are ready to burn and great quality. At Borders Firewood every effort is made to ensure that burning wood is both financially rewarding and a pleasurable experience.